Deprived of sight, hearing and speech by the shock of what he had witnessed as a child, young Tommy Walker seems lost to life – until he reveals an uncanny talent for the game of pinball. When his lost senses are suddenly restored, Tommy is hailed as a living miracle. 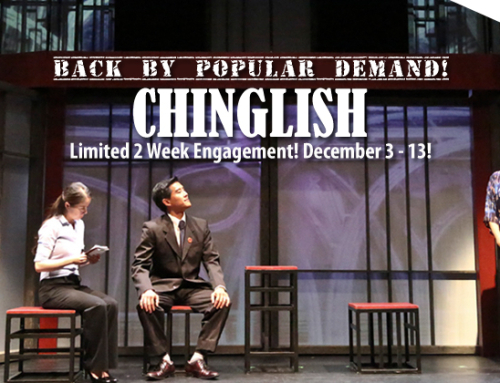 The classic rock musical arrives for the first time at East West Players in an electrifying new production. 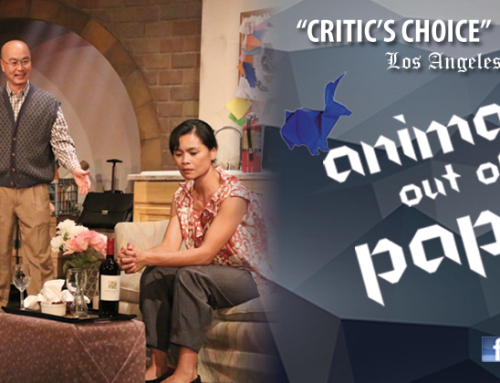 This production is presented with generous support from the S. Mark Taper Foundation Endowment for East West Players. 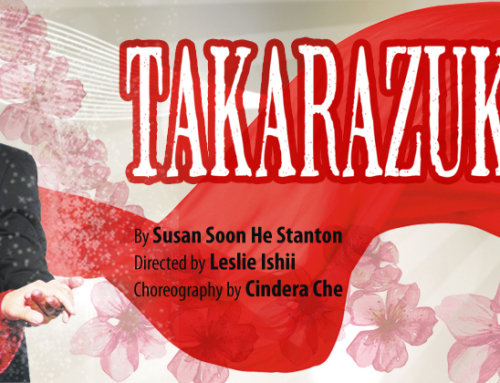 Running time: 2 hours, includes a 15 minute intermission. 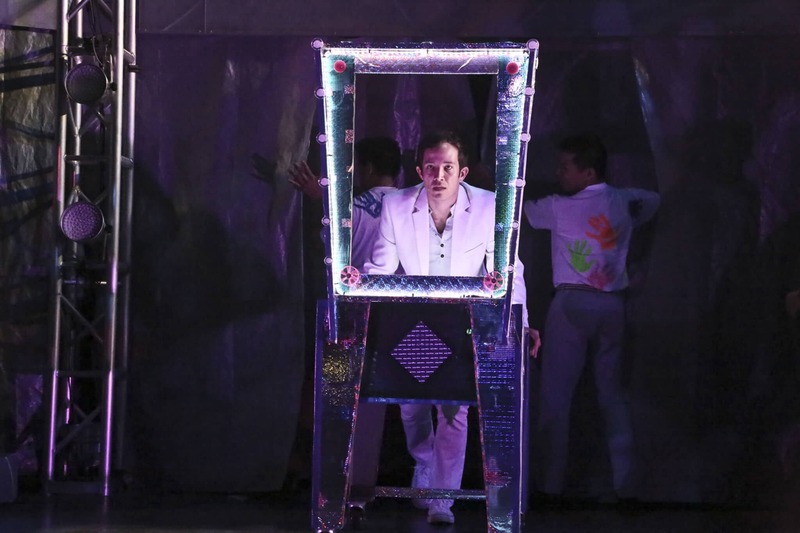 Previews are Thursday, May 7; Friday, May 8; and Saturday, May 9 (all at 8 p.m.), and Sunday, May 10, at 2 p.m.
Sunday, May 24, at 2 p.m.
10-year old Tommy (Michayla Brown) shows off his pinball skills in the East West Players production of “The Who’s Tommy”. 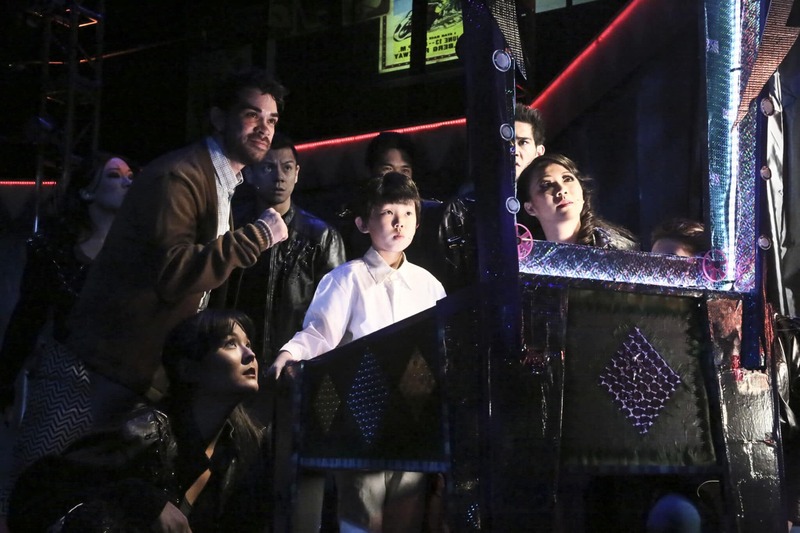 Also pictured: (L-R) Ensemble members Tina Nguyen, Ryan Castellino, Cailan Rose, Marius Beltran, Cesar Cipriano, Michael Dashefsy, Christine de Chavez. Photo by Michael Lamont. 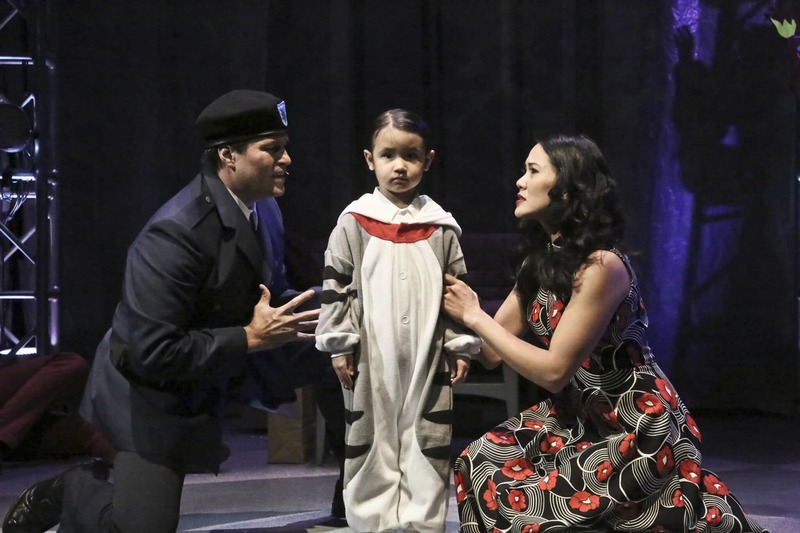 Captain Walker (Cliffton Hall) and Mrs. Walker (Deedee Magno Hall) try to convince 4 year-old Tommy (Araceli Prasarttongosoth) that he did not see or hear the murder that just took place in the East West Players production of “The Who’s Tommy”. Photo by Michael Lamont. 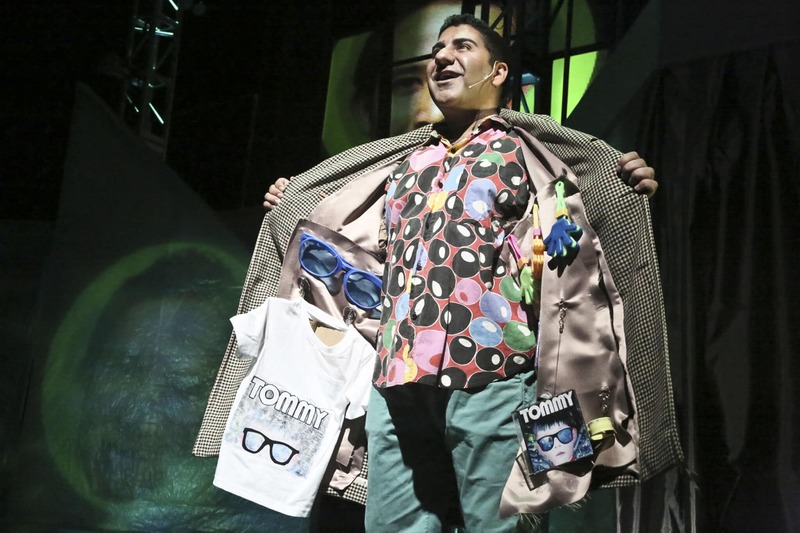 Parvesh Cheena as Uncle Ernie in the East West Players production of “The Who’s Tommy”. Photo by Michael Lamont. “I’m the Gypsy – The acid queen. I’ll tear your soul apart…” Constance Jewell Lopez as the Acid Queen in the East West Players production of “The Who’s Tommy”. Photo by Michael Lamont. Tommy the Pinball Wizard in the East West Players production of “The Who’s Tommy”. Photo by Michael Lamont. Tommy the Pinball Wizard and the ensemble in the East West Players production of “The Who’s Tommy”. Photo by Michael Lamont. 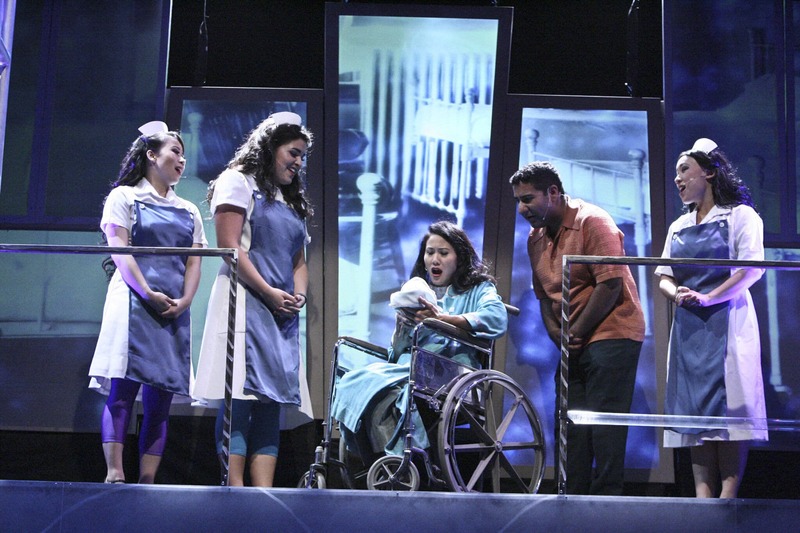 “It’s a Boy:” Mrs. Walker (Deedee Magno Hall) meeting her newborn son, with Uncle Ernie (Parvesh Cheena) and the nurses (L-R Christine de Chavez, Caitlyn Calfas, Tina Nguyen) looking on in in the East West Players production of “The Who’s Tommy”. Photo by Michael Lamont. Mrs. Walker (Deedee Magno Hall) coming to the shocking realization that her son Tommy (Araceli Prasarttongosoth) cannot see or hear in the East West Players production of “The Who’s Tommy”. Photo by Michael Lamont. The re-imagined rock musical The Who’s Tommy” at East West Players is receiving incredible audience reactions. 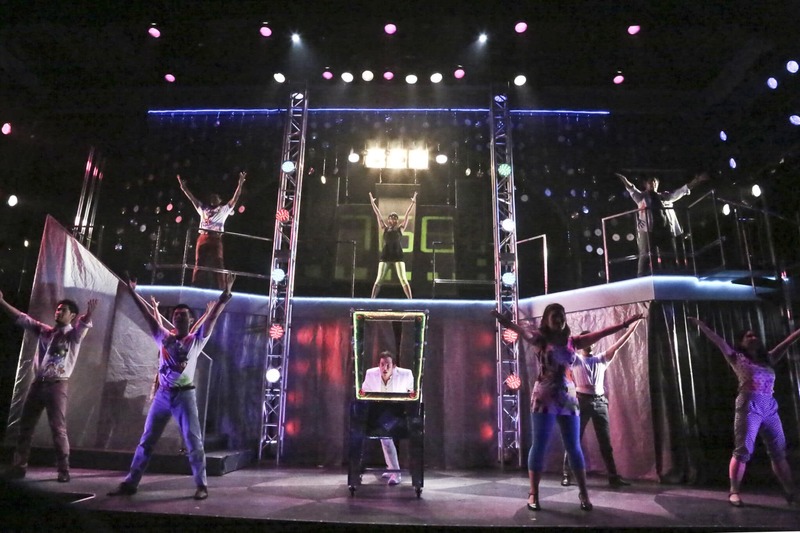 From the music to the production to the choreography, audiences can’t get enough of the rock musical The Who’s Tommy, now playing at East West Players in Downtown LA’s Little Tokyo District! Press play to see what they’re saying! The cast (Michayla Brown, Parvesh Cheena, Maxwel Corpuz, Christine de Chavez, Cliffton Hall, Deedee Magno Hall, Constance Jewell Lopez, and Joseph Morales) performed “See Me, Feel Me/Listening To You” from the critically acclaimed rock musical production The Who’s Tommy at Tuesday Night Café in Little Tokyo. Deedee Magno Hall and Cliffton Hall performed “As Long As You’re Mine” from the musical hit Wicked at Tuesday Night Café in Little Tokyo. The husband and wife duo sang together to promote East West Players’ current show The Who’s Tommy, where they play the married ‘Mrs. Walker’ and ‘Captain Walker’ and parents to Tommy, who is traumatized into catatonia after witnessing the accidental murder of his mother’s lover by his father. Christine de Chavez performed “Caught In The Storm” from the television hit Smash at Tuesday Night Café in Little Tokyo. A sneak peek of Joseph Morales, who plays “Tommy Walker,” singing “I’m Free” from the rock musical The Who’s Tommy at our Golden Anniversary Visionary Awards Dinner and Silent Auction on April 20, 2015. 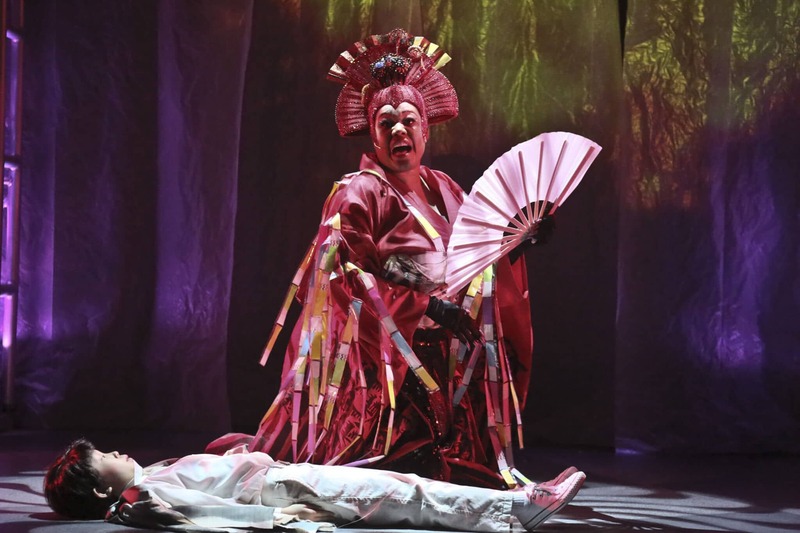 Check out this sneak peek of Constance Jewell Lopez singing “Acid Queen” from the rock musical “The Who’s Tommy” at our Golden Anniversary Visionary Awards Dinner and Silent Auction on April 20, 2015.